Mattresses are one of the most unknown sources of household toxins—required by law to be coated in toxic chemicals. These chemicals are mandated by government regulations for such purposes as providing flame resistance. It’s a fine example of a great idea being poorly executed. Natural and organic mattresses are made of materials that provide similar protective benefits without the exposure to toxins. Organic mattresses are sourced from organically-grown materials, are hypo-allergenic, and utilize natural flame-retarded materials such as organic wool. This combination of features allows organic mattresses to provide a great degree of health-conscious comfort ideal for anyone looking to reduce toxic exposure. Natural mattresses, while not made entirely of organic materials, are free of many toxic chemicals such as PBDEs, TDCPP, TCEP, mercury, lead, and other contaminants common in many consumer mattresses. While the researchers that studied the effects of such flame retardant chemicals concluded them posing an ‘insignificant’ risk, more up-to-date research has offered tremendous new insights into the dangers of flame retardant materials. We all grew up learning to be mindful around kitchen and bathroom cleaners, beware of carbon monoxide, and certainly hope you don’t have any asbestos. Unfortunately, few of us were ever warned that our mattresses might be host to such nasty compounds! Forget about the monsters under the bed! Hopefully, you’re spending a solid 7-9 hours in your bed every night, which is likely way more time than you’ll ever spend in the kitchen or bathroom. This means that if your mattress does contain harmful toxins, you’ll be more exposed to them than you ever would toxins in your kitchen! For example, research has shown that the chemicals that leach out from non-organic mattresses can build up in the body through dermal absorption—to levels as high as 63 times the EPA safety limit (pdf)! What this all means, is that typical mattresses have been required to be coated in toxins for the last decade or so. When the ruling calling for this new safety process was made, it cited research that concluded health concerns surrounded the use of toxic flame retardants, but the risk was insignificant. Modern research has shown these chemicals can be very toxic and can build up in your body to harmful levels. In short—your mattress may be making your sick and the only way to avoid such a predicament is to have a mattress that’s free of toxic materials. Besides the obvious lack of toxic chemicals, there are several other advantages organic mattresses have over traditional ones. For example, organic mattresses regulate temperature better, are hypo-allergenic, have few pressure points, are naturally flame retardant, and are approved for safe use with infants. While the benefits of organic mattresses are plentiful, below you’ll find a brief description of some of their more advantageous features. Natural and organic mattresses are often recommended to patients by health professionals for their distinct lack of common allergens. Allergic reactions such as respiratory issues, even chronic respiratory issues, can be connected to many chemicals used in the manufacture of common mattresses. These mattresses are made from materials that have been toxic-free since day one and are certified hypo-allergenic products. Organic latex materials are often an advisable substitute for many people suffering from allergy issues. Quality natural mattresses use these types of materials to provide all the comfort and protection of normal mattresses—but without the toxic chemicals. It’s a bit weird that the mattress industry didn’t just decide to use naturally flame-retardant materials in the first place—yet here we find ourselves. It was likely a matter of cost, lobbied for by industrial interests, which realized cheap, easily accessible industrial chemicals would be more cost-effective than using wool. Wool happens to be such an effective flame retardant that organic mattresses that have ZERO toxic chemicals sprayed on them are still compliant with the flame retardant guidelines dictated by the Consumer Product Safety Commission’s 2006 report. Organic latex, cotton, and wool all have the ability to balance the overall temperature of a mattress better than common mattress materials. This means organic mattresses do a better job staying warm in the winter and cool in the summer. For instance, wool is a naturally porous material which is capable of regulating particles up to the size of vapors. This means that wool can easily absorb nearly 30% of its own weight in moisture without feeling damp. For anyone living in older homes, they know that all it takes to make a regular mattress feel clammy is a rainstorm! Organic Mattresses are highly recommended for use with infants. The naturally flexible and conforming materials in these types of mattresses are known to help cradle and sooth infant body types. The natural temperature regulating properties of these mattresses play a vital role in the protection of our dear ones. Perhaps the most important aspect of organic mattresses with regards to infant safety is their inherent lack of toxic chemicals. Infants are much more susceptible to toxins than adults and should be provided a much safer sleeping area. With the above features in mind, you’ll be able to decide if which types of organic mattresses may help you to better reach your individual needs. 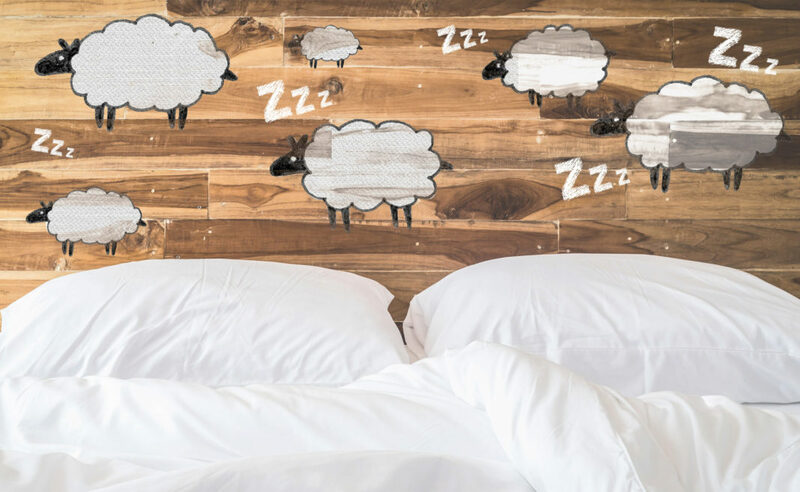 For those in more humid climates, wool mattresses are an easy choice—since they absorb an insane amount of moisture before getting clammy. For those looking to purchase an organic infant mattress, you may be more inclined towards getting an organic cotton mattress. Regardless of your circumstance, with an awareness of the benefits that an organic mattress has to offer, you can begin to compare different makes and brands with confidence. Layla Sleep is an incredibly unique mattress brand that offers specialized designs for those seeking advanced heat control. The Layla sleep mattress contains a copper nanoparticle-infused blend that works to dissipate heat while one sleeps. Additionally, this metallic medley exerts strong antibacterial action to help keep your sleep sanctuary clear and healthy. This mattress is a 4-layer design that offers the ability to flip it over for a different comfort level. Overall, one of the most unique and exciting mattresses we’ve seen. Spindle is an incredible mattress company offering one of the most unique products on the market. The bed-in-a-box craze doesn’t always accommodate the luxury of latex but the creators of Spindle have found a way! Their mattress ships in several boxes and can be easily assembled upon arrival. They offer customizable firmness options when ordering, incredible warranties and product support, and their mattress is a true latex product—not just one with a thin latex layer tossed in somewhere! Overall, this is one of the best latex mattress designs we’ve ever seen! The 14″ thick natural latex hybrid mattress from IDLE Sleep features an organic cotton wrapping, layers of 100% pure Talalay latex positioned on either side of a 6″ thick layer of microcoils to improve breath-ability and airflow. This mattress is the most impressive latex mattress we’ve seen in a long time. The only downside is its considerable weight—which isn’t a problem once you get it on your bed frame! IDLE Sleep is a bed-in-a-box brand that most store-bound mattress-goers may not be familiar with. While their tenure in the mattress world may be obscure their delivery of an amazing natural latex product is nothing short of amazing. The Pure Echo is one of the best-selling organic mattresses and has been very well-reviewed by buyers. It is made of certified organic cotton and wool from New Zealand and meets fire-retardant standards without the use of toxic chemicals. This mattress is available in different sizes and is a very popular choice for twin-size use. The Pure Echo is a single-sided organic mattress and is recommended by the manufacturer for those in search of a firm sleeping mattress. This product is backed by a 10-year warranty, which is tremendous! The Natural Escape organic mattress is the best-selling adult-size mattress from Natural Escape. It features a plus natural latex top for added comfort, natural Jooma wool to meet flame retardant standards, and ultra-pure New Zealand Organic cotton. This product is free of harmful chemicals, recommended for hypoallergenic use, and is backed by a 10-year warranty. The Natural Escape is the organic mattress that most people consider the ‘go-to’ choice and has received rave reviews from buyers. My Green Mattress offers a 100-night sleep test program as well, that allows no-questions returns if you don’t like the way it sleeps. The Chorus from Naturepedic a testament to the possibilities of Organic Mattresses’ ability to compete, pound for pound, with non-organic competitors. This luxury quilted mattress features a medium-softness top, organic cotton, and free of harmful toxins. This mattress is slightly more expensive than other similar products but is backed by a powerful 20-year warranty. A matching foundation is available for this mattress as well, and features flame retardant-certified wool materials and is also free of toxic chemicals. Naturepedic is regarded by many as being the ‘Cadillac’ of organic mattresses and has received excellent reviews. The Roma is a natural latex mattress that provides a luxurious sleeping experience while balancing the cost of toxin-free materials. This mattress is comprised of 6 inches of Natural Dunlop latex and a 1.5-inch barrier of CertiPUR foam on both sides. The fire barrier is made of bamboo extractions, and the cover layer on this mattress is made of 100% pure organic cotton. This mattress is considered safe for hypoallergenic use, is extremely durable, and comes with a 20-year warranty! All in all, this mattress represents a great balance of organic and natural materials, along with an extremely affordable price. When considering the importance of sleeping on a toxic-free bed, you should realize that developing children—especially infants and toddlers—are much more susceptible to the harmful chemicals found in many commercial beds. Organic crib mattresses are very affordable considering the degree of confidence they help provide and should be greatly-considered by any parent, aunt, or relative to infants and toddlers. In addition to the natural and organic mattresses listed above, we’ve chosen to include our top pick for the organic crib mattress category as well. The Naturepedic No-Compromise Organic Crib Mattress features seamless waterproof edges, 150 coils, robust edge support, and organic cotton materials throughout the entire design. The non-toxic waterproof surface makes this mattress a cinch to clean as well. Naturepedic is a GOTS-certified organic manufacturer and is trusted by parents and healthcare professionals around the world to deliver reliable, non-toxic products. This mattress is 27″ wide, 52″ long, and 6″ thick. This is an excellent choice for anyone considering the purchase of an organic crib mattress. The modern world is riddled with additives and toxins. Just as we once felt spraying everything with DDT was a good idea—future generations will likely look back in shock at our lifestyles now. That’s assuming we make it through our present chemical excesses. There is no practical way to avoid toxins completely. Taking action to start avoiding the most prevalent ones can help minimize one’s exposure. Looking at where one has the most contact with potentially toxic substances can help get things started. Mattresses are an easy pick since we spend so much of our collective lives sleeping on them. Organic sheets are a great start but to be sure one needs to go toxin-free from the ground up! Mattresses have, historically, been a ripoff. The industry has started to turn around some and there are some affordable options out there now. The dawn of “bed in a box” brands has caused mattress prices to drop by nearly 50%, offer lifetime warranties, and even ship for free in vacuum-sealed boxes via FedEx or UPS. In other words, there’s never been a better time to buy a mattress! Mattresses made with natural and organic materials are excellent options to help reduce the toxins one is exposed to. These types of mattresses are going to be a bit pricier than non-organic or non-natural materials but, at least in our opinion, it’s worth it. Buying from a brand that offers direct-to-consumer pricing can save a lot on any mattress, but especially on higher quality ones such as we’ve discussed here. Natural & Organic Mattresses play a vital role in helping to safeguard you and your loved ones against harmful toxic chemicals found in many mattresses. Made with organic cottons, naturally flame-retardant wools, and organic latex materials, these mattresses offer a tremendous boost in health-confidence!